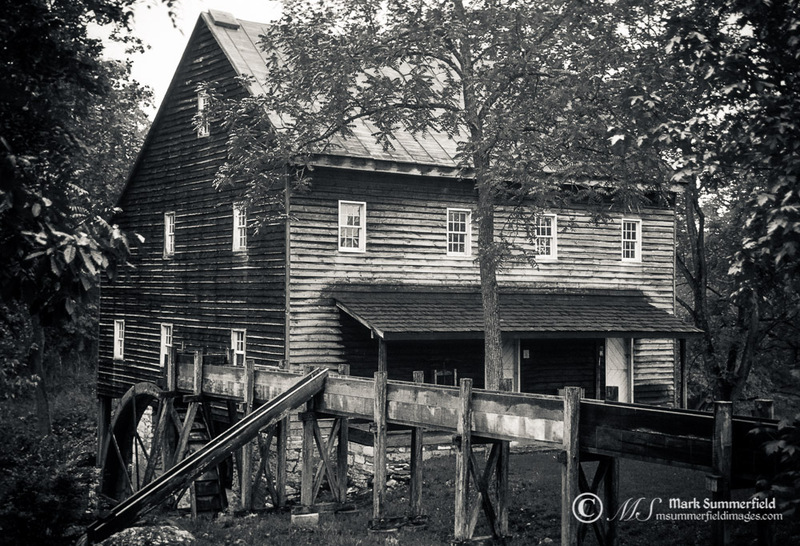 The Andrew Zirkle Mill is a 1760s era grist mill located in the southern end of Shenandoah County, Virginia. 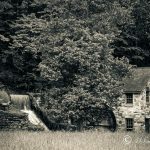 Andrew Zirkle, having moved south from Pennsylvania with four brothers, two sisters and his mother in 1755, built the mill with his brothers on the bank of Holman’s Creek, a spring fed tributary of the North Fork of the Shenandoah River. 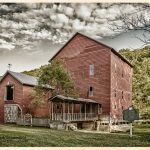 The mill was in constant use for about 180 years, eventually being retired from service in the 1940s. 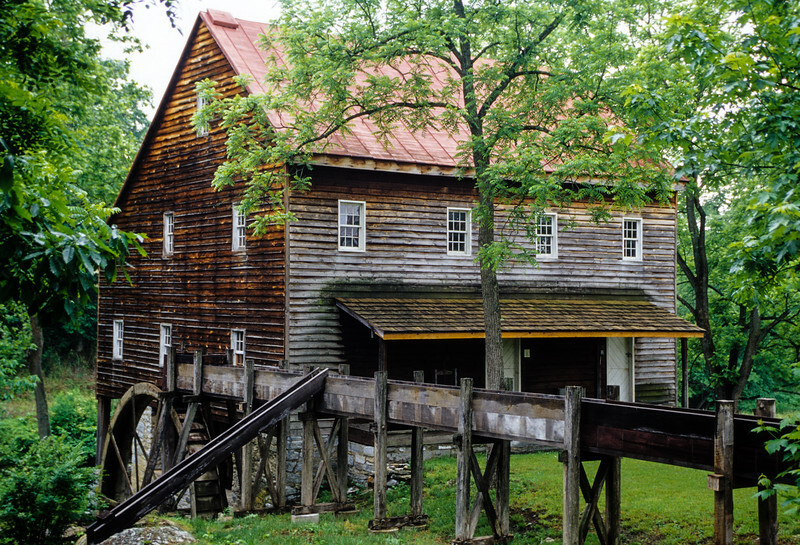 Built using a hand hewn log frame and weatherboard siding which rests on a limestone foundation, the mill is a notable example of the architecture of the period. The flooring inside the mill is original. The mill still contains its original millstones of French Burr design and a set of roller milling equipment that was installed sometime around 1895. Once operations ceased, the mill sat neglected, slowly rotting away. 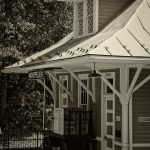 In 1980 it was purchased by Glen Hofecker, a carpenter from North Carolina, who restored it to working order. The mill was added to the Virginia Historic Landmark Register in 1992 and then placed on the National Register of Historic Places in 1993. Hofecker sold the mill at auction in 1992 to Gordon D. “Sonny” Bowman who operated the mill for 11 years (it was during this time that the image seen here was captured). Bowman placed the mill for sale on the open market in 2003 but found no takers. Finally, the Frontier Culture Museum of Staunton, Virginia came calling. They were looking for a mill to be the centerpiece of an exhibit on 1850’s life. The Andrew Zirkle Mill was a close fit to what they had in mind. After publicly announcing the project, enraged local citizens and Zirkle descendents banded together to save the mill. Two Zirkle decendant, Rob Andrews and Sherryl Andrews Belinsky formed the Save the Zirkle Mill Foundation. The Frontier Culture Museum is state funded and is restricted by acquisition laws of the Commonwealth of Virginia. The purchase of the mill property was highly irregular. 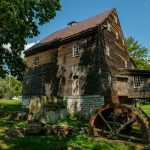 Also, by moving the mill it would lose its registration on both the Virginia Historic Landmark Register and the National Register of Historic Places. 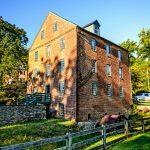 After taking the case to the State Attorney General’s office, the Attorney General issued an opinion stating that the Governor of Virginia must approve the acquisition of the mill by the museum as dictated by state laws. In July of 2005, Governor Mark Warner denied the acquisition of the mill by the museum to the great delight of everyone. Mr. Bowman waited a few months and quietly put the mill up for sale again. While it had become famous, there were few takers. Rob Andrews and Sherryl Belinksy made an offer for the mill, and on January 5th, 2006 became the owners of the Andrew Zirkle Mill. 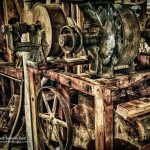 It is the intention of the owners to restore the mill to its configuration and appearance of the early 1900’s when roller milling equipment was in widespread use. In the case of the Andrew Zirkle Mill, this would mean that its millstones and roller milling equipment would both be operational. The Mill is currently not open to the public. The image is a scan from a transparency which does not have the detail of a modern digital image. This, combined with the age of the Mill, gave me the idea of trying to create the look of a photograph taken back in the earlier days of the Mill. For reference I have included the original scan below. I really like these old mills from a time long ago Mark. The scan turned out quite well. I love scenes like this. GREAT details and textures in that color version Mark, I have to admit a bias on that rendition. The b&w one is awesome, too, in the way it seems to accent and express the drama a little bit deeper. Both of these shots are winners! These photos are amazing. Do you have more? Andrew Zirkle was my 5th great grandfather Michael’s brother. I’ve never been there and love seeing pictures. Thanks for sharing them! Thank you for your visit, Jenn. Unfortunately, this is the only image I have of the mill.